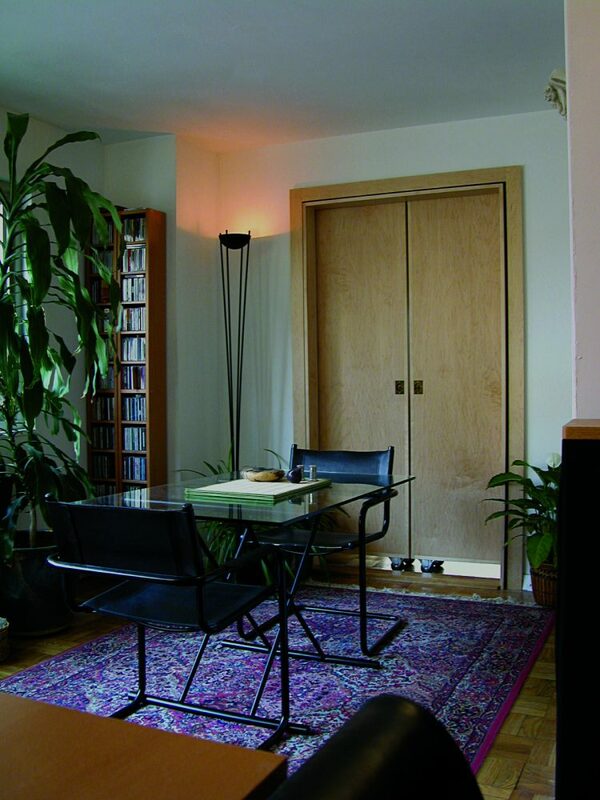 This small northwest DC apartment had two particular problems which needed solving simultaneously: the need for a library to accommodate a book collection numbering in the thousands, and the need to make “walls” appear and disappear on demand. The solution was to create a library in which the architecture becomes furniture, and the furniture becomes architecture. 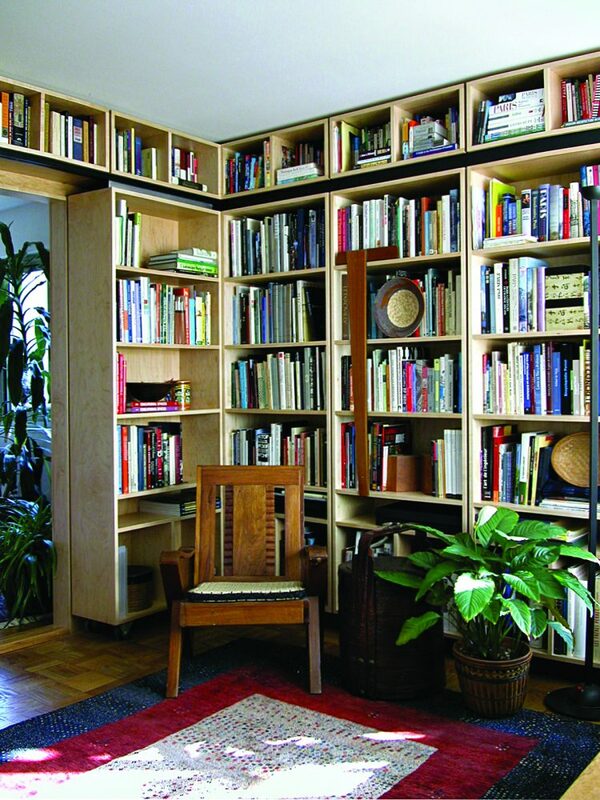 A wall was removed between the dining room and study, allowing the rolling library shelves to become the primary space makers for the two rooms. The shelves can be arranged to create multiple bookshelf configurations and to allow for different levels of privacy or openness. 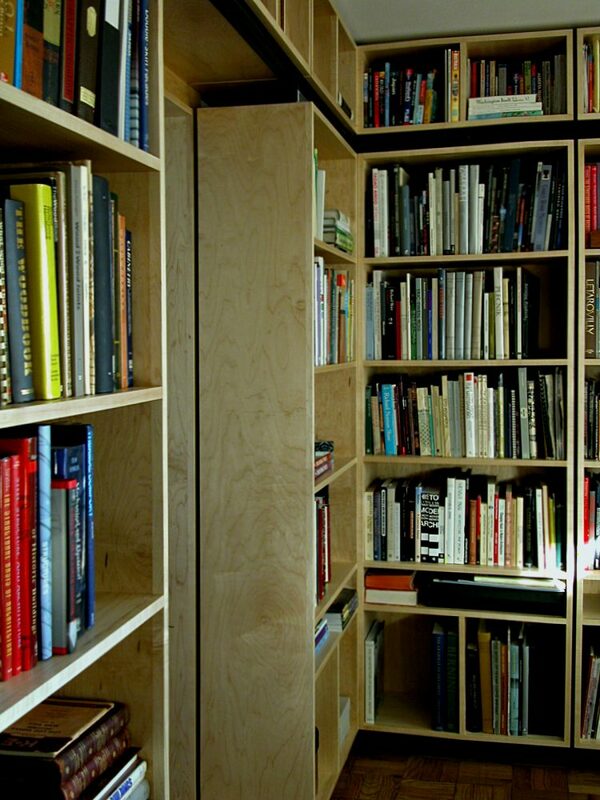 Even a closet was turned into a connecting library alcove behind a moving shelf unit. 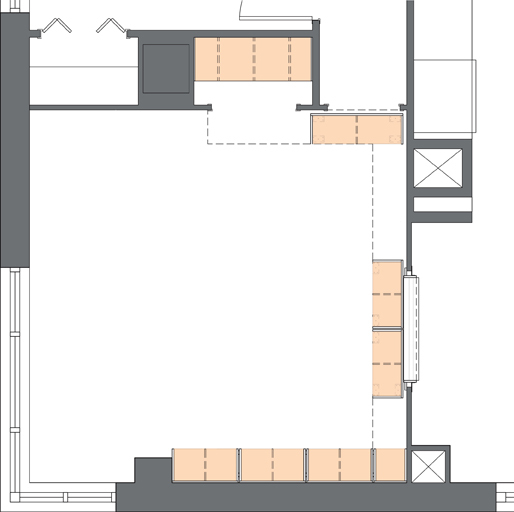 The rolling units are mounted on wheels, and are guided by an overhead track, allowing them to act with ease as both sliding walls and doors. 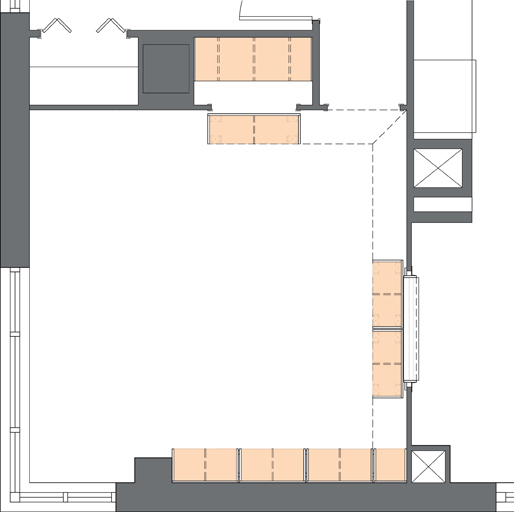 This small northwest DC apartment had two particular problems which needed solving simultaneously: the need for a library to accommodate a book collection numbering in the thousands, and the need to make “walls” appear and disappear on demand. 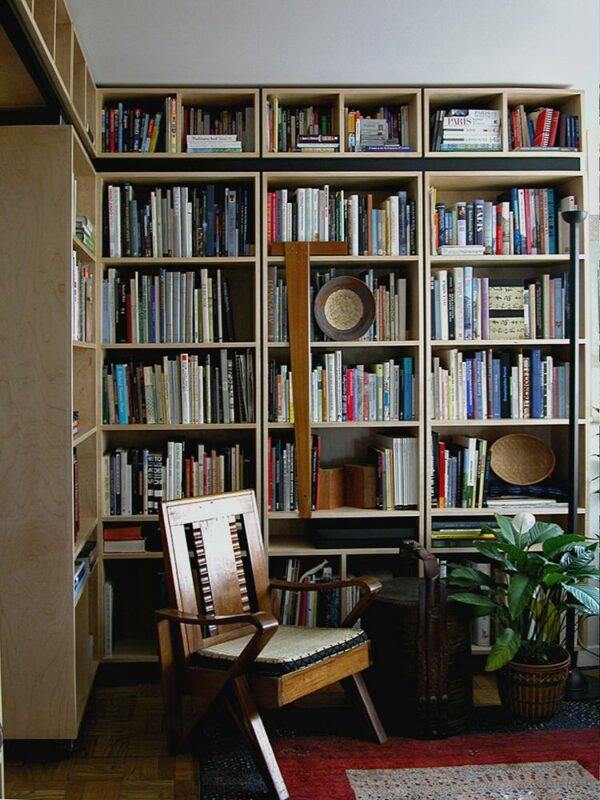 The solution was to create a library in which the architecture becomes furniture, and the furniture becomes architecture. 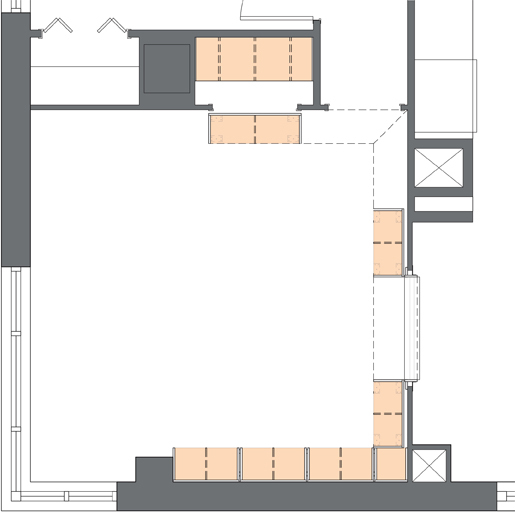 A wall was removed between the dining room and study, allowing the rolling library shelves to become the primary space makers for the two rooms. 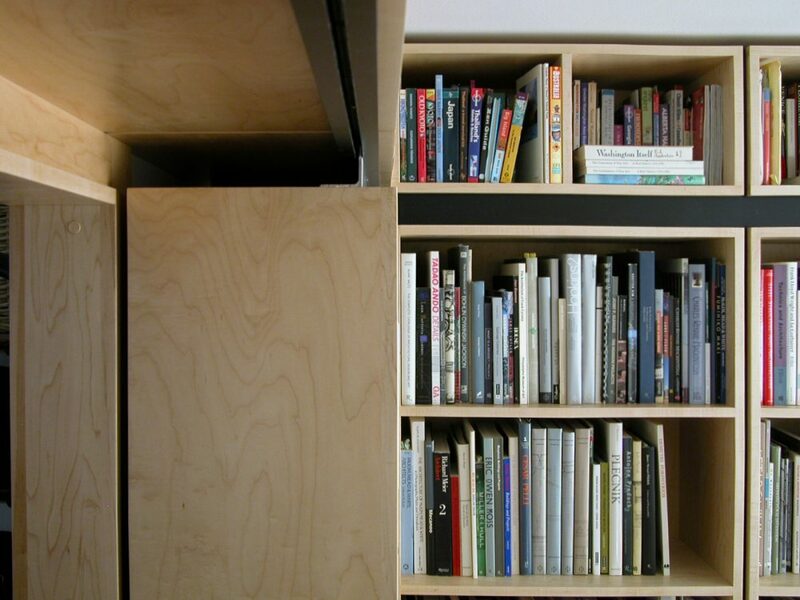 The shelves can be arranged to create multiple bookshelf configurations and to allow for different levels of privacy or openness. 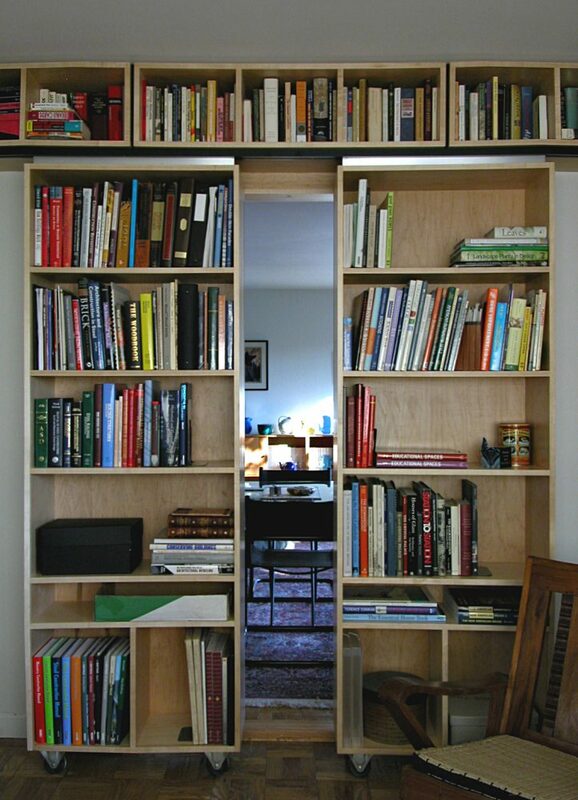 Even a closet was turned into a connecting library alcove behind a moving shelf unit. The rolling units are mounted on wheels, and are guided by an overhead track, allowing them to act with ease as both sliding walls and doors.